Stephane is an experienced ultra runner, having competed in ultras for over 7 years and loves technical and steep/hilly terrain. Two times finisher at UTMB, 8 x UTA100 (previously TNF100), 2 x Surf Coast Century 100, 2 x Buffalo Stampede Ultra, 3 x Mt Blanc Marathon, Winner and placegetter at Running Wild and other ultra running events. 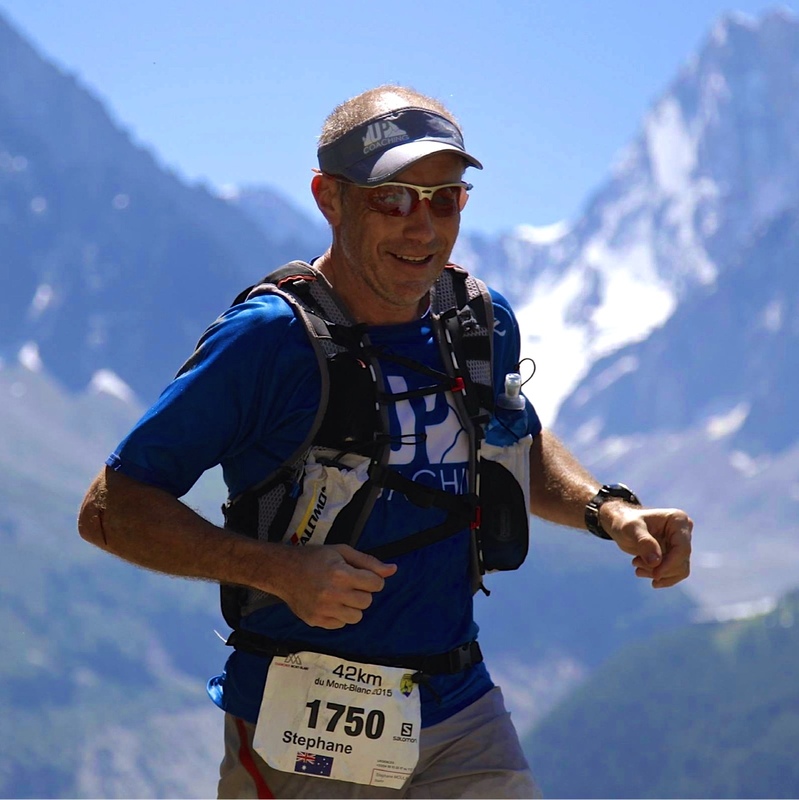 Stephane has an in-depth experience running ultra events across a wide range of distances and terrains. Kerrie Hessel – Kerrie turned 50 this year and wanted to celebrate in style by running her 1st ultra race – UTA50. Not only did Kerrie ran her 1st ultra but she did it in style in a fantastic time of 8hr 49min – 649th overall out of 1500 starters. She has since also ran Glow Worm Marathon in just over 3:00 hrs ending 11th in her age category. Matt Dunshea – Matt successfully finished his 1st 100km ultra trail race – UTA100 – in a fantastic 15hr 47min. Bronze buckle for his 1st ultra. Nikki Keighran – 9 weeks after her Ironman, Nikki finished her 1st 100km ultra race – UTA10 0 – in a blastering fast 16hr 55min. Parkrun PB of 21:47 – shaving nearly 4 mins in the past 5 months. Geg Finlay – within a short period (2 months) Greg has smashed his parkrun PB from 27mins to a speedy 23:46.